Cherepovets (Russian: Череповец; [tɕɪrʲɪpɐˈvʲɛts]) is a city in Vologda Oblast, Russia, located in the west of the oblast on the banks of the Sheksna River (a tributary of the Volga River) and on the shores of the Rybinsk Reservoir. As of the 2010 Census, its population was 312,310, making it the most populous city in the oblast. The foundation of Cherepovets is traditionally ascribed to two orthodox monks Feodosy and Afanasy. In 1362, they founded the Cherepovets Resurrection Monastery, in the vicinity of which a small village of Fedosyevo was founded. Historians consider the former village of Fedosyevo to be in the center of modern Cherepovets. It took several centuries to develop the small village into a prominent trade, manufacturing, and transportation regional center. Cherepovets was granted city status in 1777 by Catherine the Great and became the center of a separate uyezd in the administrative structure of the Novgorod Governorate. Construction of Mariinsk canal system in 1810 year made a significant impact in development of the city. The Mariinsk Canal System connected Cherepovets with Volga river to the south and the Baltic Sea to the west. At that time, city was still in the very early stage of development with the population of 3000 residents by year 1863. For a long time the city brickworks with seven workers was the sole industrial enterprise in Cherepovets. The development of city became more dynamic after Emancipation Reform happened in 1861 and appearance of ship building industry. The city soon became a prominent shipbuilding and logistics center tying major regional rail- and water-ways. The population had grown up to 10,000 mark by 1915. After the revolution, in March 1918 eastern uyezds of the Novgorod Governorate was renamed to separate Cherepovets Governorate centered around Cherepovets. The new governorate existed for less than ten years. In 1927 it was merged with Leningrad, Novgorod, Pskov and Murmansk Governorates into a single Leningrad Oblast. In September 1937 most of the former Cherepovets Governorate territories (with the exception of Tikhvin district) were transferred to the newly established Vologda Oblast. The subsequent development of the city is closely tied to the completion of construction Cherepovets metallurgy plant (now known as Severstal) in 1955, the second biggest in the country. Unlike the majority of the most important metallurgy centers in the former Soviet Union, the location of the future steel plant was selected far away from the actual mineral resources and deposits. The reason for that was the logistic advantage of having well developed infrastructure that allowed to connect the north and northwest of the country by rail, road, and water ways into a single operation system. It connected such remote mining centers like Vorkuta and Olenegorsk, Murmansk Oblast. Rapid growth of industry center drastically changed the city, and by the early 1960s its population exceeded 100,000 residents (three times bigger than the pre-World War II population). By 1970 Cherepovets became the most populated city in Vologda Oblast. Within the framework of administrative divisions, Cherepovets serves as the administrative center of Cherepovetsky District, even though it is not a part of it. As an administrative division, it is incorporated separately as the "city of oblast significance of Cherepovets" (one of the four in the oblast)—an administrative unit with the status equal to that of the districts. As a municipal division, the city of oblast significance of Cherepovets is incorporated as Cherepovets Urban Okrug. Cherepovets is very important industrial center in northwestern Russia mostly known for country's largest steel manufacturing plant with exports going to more than fifty countries around the world. The city began growing rapidly with the construction of the Metallurgical Works in the late 1930s. The first works' blast furnace was put into operation in 1955. The first Cherepovets iron was produced in August 1955 and steel in May 1958. In February 1959 the first ingot was rolled in a blooming mill and in November of the same year the first hot-rolled plate was produced. Nowadays complex production processes of iron and steel making are highly mechanized and automatically operated. The works' shops have been modernized according to the latest achievements of engineering and technology of metal production. The joint-stock company 'Severstal' (LSE, MOEX) is a global exporter of ferrous and non-ferrous metals: iron, steel, hot-rolled plates, cold roll-formed shapes, and other products. The second largest industry in the city is chemical industry. Its main production area is concentrated in mineral fertilizers. PhosAgro (LSE, MOEX) is the largest producer of phosphate based fertilizers and phosphoric and sulfuric acids in Europe. It is also one of the leading producers of NPK fertilizers, ammonia and Ammonium nitrate in Russia. As an outcome of the high volume of metallurgical and chemical production, Cherepovets is one of the most heavily polluted cities in the world. According to 2011 assessment the city ranked second only to Norilsk, Russia. Cherepovets is served by the Cherepovets Airport, which is home to Severstal Air Company. Cherepovets has rail and road access to Vologda, the administrative center of the oblast, to Moscow, the capital of Russia, and to St. Petersburg. 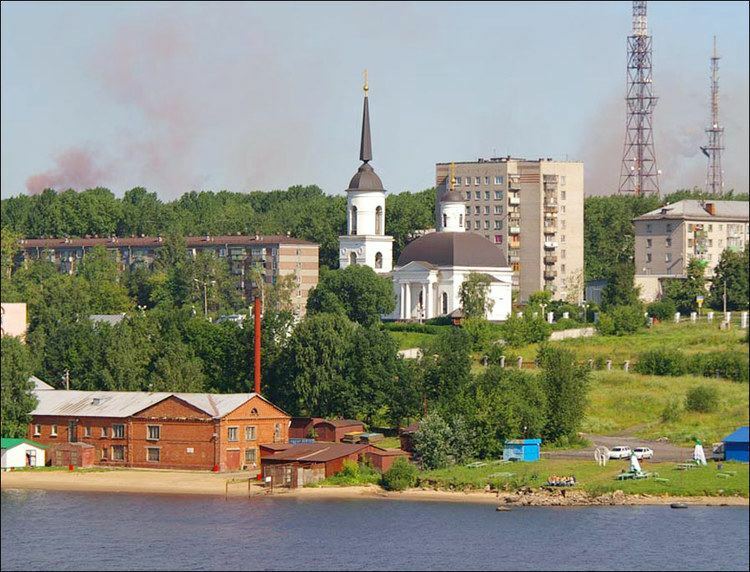 Cherepovets has distinctive four-seasons humid continental climate (just above subarctic), with warm summers and cold but not extremely cold winters by Russian standards. It falls into the humid continental zone by the fourth warmest month being just above 10 °C (50 °F) in mean temperature and the annual temperature being 3.3 °C (37.9 °F), above the freezing point. Winter, however, lasts for five months, rendering transitional periods rather short. The passing years have left their mark on the city's appearance. Large-scale housing and industrial construction has been carried out in the city. Over the past years hundreds of new multi-story blocks of apartments, detached, and semi-detached houses were built in Cherepovets. 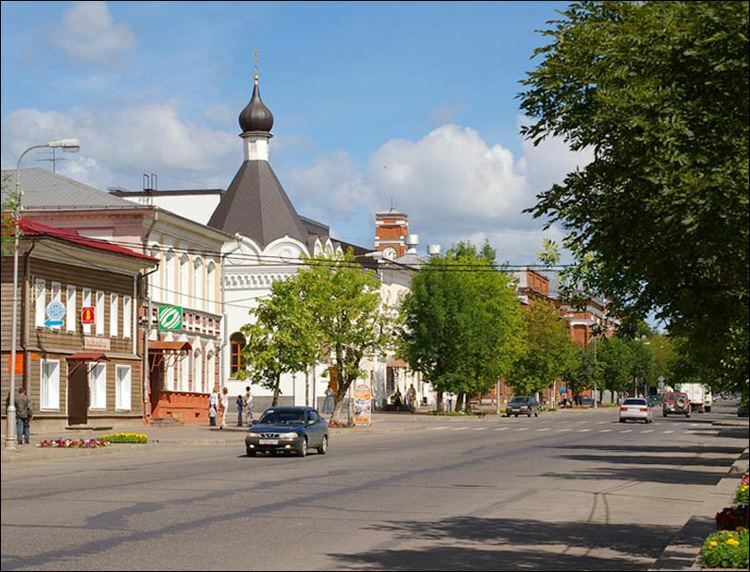 Cherepovets is not only an industrial city, it is a center of culture, education, and sport. There are professional associations of local writers, poets, actors, painters, composers, journalists. The city invests in sports and sport clubs. Cherepovets's athletes regularly compete in international and internal competitions. "Severstal" hockey club is well known in Kontinental Hockey League. "Severstal" basketball team, as well as the chess players' team are part of Russia Major League. Vasily Vereshchagin (1842–1904), famous battle painter, born in Cherepovets. Anna Demidova (1878–1918), House of Romanovs maid, murdered with Nicholas II and his family, born and raised in Cherepovets. Alexander Kutepov (1882–1930), White Army general, born in Cherepovets. Igor Severyanin (1887–1941), poet, one of the main figures of the Russian Futurist movement, grew up in Cherepovets. Valery Chkalov (1904–1938), aviator, studied at Cherepovets technical school. Nikolay Amosov (1913–2002), heart surgeon, born near Cherepovets and got his education in the city. Joseph Brodsky (1940–1996), Nobel Prize–winning poet and essayist, lived with his family in Cherepovets during the evacuation from Leningrad. Nikolai Noskov (born 1956), musician, former singer of Gorky Park, grew up and started his career in Cherepovets. Alexander Bashlachev (1960–1988), singer-songwriter, poet, born and grew up in Cherepovets. Leonid Parfyonov (born 1960), journalist and television host, born and grew up in Cherepovets. Dmitri Yushkevich (born 1970), NHL and KHL ice hockey player, born in Cherepovets, started playing in the Metallurg Cherepovets hockey school. Pavel Buchnevich (born 1995), former KHL and current NHL ice hockey player for the New York Rangers.